Punjab and Haryana High Court has recently held that only on the basis that an affidavit had been filed in the capacity of an Advocate along with an application for Anticipatory bail identifying the accused therein as named in the F.I.R., a Lawyer cannot be added as an Accused. Justice Tejinder Singh Dhindsa has quashed the order passed under Section 319 CrPC by the Additional Sessions Judge, Faridkot in terms of which Advocate Amaninder Singh Sekhon has been summoned to face trial as an additional accused under sections 419, 420, 465, 467, 468, 471, 474 and 120-B I.P.C, registered at Police Station, City Faridkot. F.I.R No.53 dated 4.5.2009 under sections 308, 325, 323, 341 read with Section 34 I.P.C was got registered at the instance of complainant Hardev Singh and against Harmanjit Singh son of Ajaib Singh with the allegations that he had given a kapa blow to the complainant. Such alleged accused Harmanjit Singh approached the present petitioner, who is a practicing Advocate to file an application seeking concession of anticipatory bail in the afore noticed F.I.R. The Vakalatnama was signed by such person as Harmanjit Singh and the present petitioner prepared an affidavit in terms of the identity disclosed by Harmanjit Singh on 20.5.2009 and which was appended along with the bail application filed under Section 438 Cr.P.C. Such application was dismissed on 29.5.2009 by the court of learned Additional Sessions Judge, Faridkot. Upon dismissal of the anticipatory bail application Harmanjit Singh was arrested on 20.11.2009. Thereafter, Harmanjit Singh was also shown as arrested on 29.12.2009 on the basis of production warrants in F.I.R No.256 dated 1.10.2009 under section 420 I.P.C and in which he faced trial under the name of Harmanjit Singh and earned acquittal vide judgement dated 5.7.2010, passed by the Trial Court. State preferred an appeal against the judgement of acquittal. Upon notice having been issued to Harmanjit Singh and in pursuance to an inquiry marked by the then Sessions Judge, Faridkot it transpired that in fact Harmanjit Singh was Arun Kumar son of Diwan Chand, resident of Balbir Basti, Faridkot. This led to the registration of another F.I.R No.44 dated 17.2.2011 under sections 419, 420, 465, 467, 468, 471, 474 and 120-B I.P.C, registered at Police Station, City Faridkot. During the course of investigation and multiple inquiries having been held, present petitioner was found innocent and was placed in column no.2 in the challan presented on 30.7.2012. An application under Section 319 Cr.P.C was moved by the prosecution and which has been accepted leading to the passing of the impugned order. 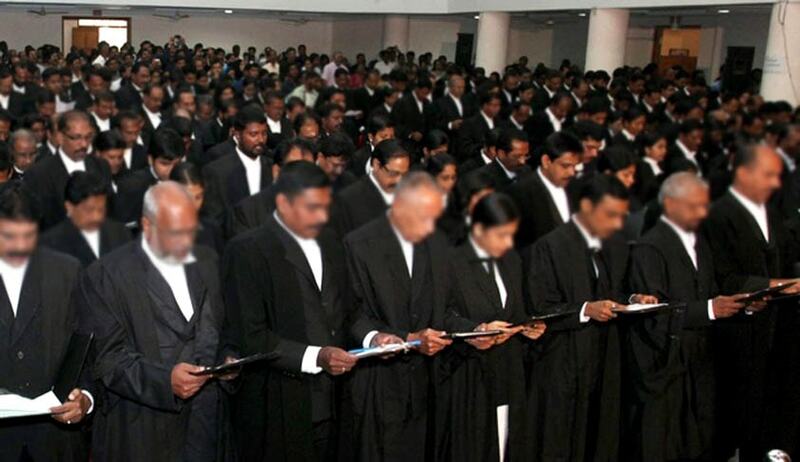 Perusal of the impugned order would reveal that the petitioner has been summoned to face trial as an additional accused upon the deposition and statements of some witnesses and only on the basis that an affidavit had been filed by the petitioner in the capacity of an Advocate along with an application under Section 438 Cr.P.C seeking concession of pre-arrest bail identifying the accused therein as Harmanjit Singh and as named in the F.I.R. Allowing the Petition, the High Court held that the court below has completely overlooked the aspect that the petitioner in the capacity of an Advocate had filed an affidavit as per identity disclosed by Harmanjit Singh and who was named by the complainant Hardev Singh as such in the F.I.R. It may be noted that Harmanjit Singh alias Arun Kumar had even faced trial and had earned acquittal in case F.I.R No.256 and even at such stage his real name as Arun Kumar had not been revealed. It is only at the stage of appeal and when his service was not being effected, then, at the instance of the learned Sessions Judge, Faridkot an inquiry had been marked and which led to the revelation of his real name. “No evidence has come forth before the Trial Court while passing the impugned order to suggest that the petitioner had any previous knowledge of the fact that the real name of accused in F.I.R No.53 dated 4.5.2009 was not Harmanjit Singh but was actually Arun Kumar. There is no incriminating evidence whatsoever to show that there was any concern between the present petitioner and Harmanjit Singh alias Arun Kumar antecedent to the filing of the application supported by an affidavit under Section 438 Cr.P.C.